Jell-O Temptations only $0.90 w/ Coupon! 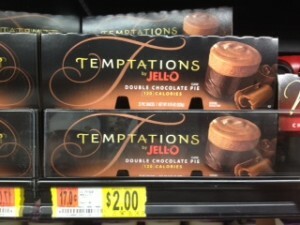 Wow, check out this great deal you can get on Jell-O Temptations at Walmart! Click here for coupon (zip 30303, under Foods). This was a Rollback price, so your price may be slightly higher if yours are not on Rollback.